During the palette knife painting workshop with Jane Smithers, we also sketched in our journals. 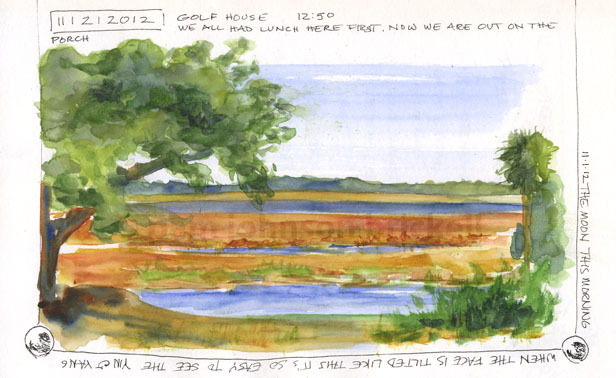 The larger image is a 15 minute plein air sketch, the smaller a two-minute memory sketch. Both using just watercolors with no initial pencil sketch. I so love timed sketching. Stokes become quite simplified. 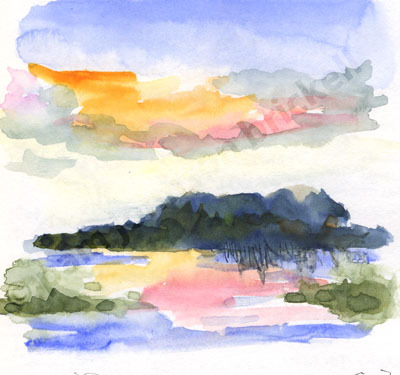 It's great for loosening up and colors stay fresh. Both sketches are done in a Stillman & Birn Alpha series hardbound journal. Happy Thanksgiving! I love your pages!! Thanks so, Claire!! Hope you had a lovely Thanksgiving! Thanks, Rhonda!! So been missing be able to read your posts. Craziness at work about to slow down. I'll be back!